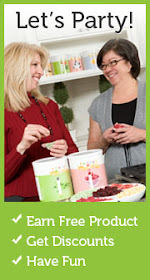 Everyday Food Made Simple: Ice Cream with Freeze dried fruit - Cold Stone Style! 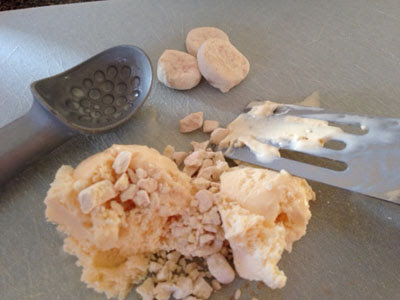 Ice Cream with Freeze dried fruit - Cold Stone Style! We had so much fun making ice cream "Cold Stone" style tonight! So easy! 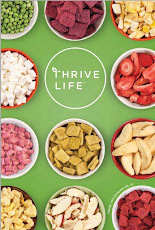 We wanted ice cream with fruit and candy bar all mixed up like you can get at Cold Stone or Sheridan's (2 places we LOVE for dessert), so we were all getting ready to get in the car and I had a thought.......lets try it at home! 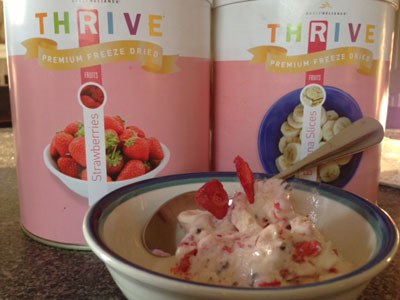 We had vanilla ice cream already in the freezer, left over Easter candy, and I went downstairs to our Home Store and grabbed some THRIVE freeze dried Strawberries and Bananas. I had the kids choose what they wanted in it and I just started mixing away! This is what we got! I just used a cutting board to do the mixing on. Next time I will put the board in the freezer to get cold first! My daughter wanted bananas in hers, so I just crushed some up in a zip-lock bag first and poured them on top of the ice cream! My boys wanted snicker candy bar in theirs....so good! My husband and I wanted freeze dried strawberries, bananas, and Reese Peanut Butter cup in ours....you gotta try this one! 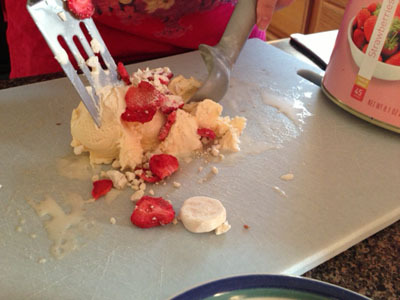 Try making your own "Cold Stone" style ice cream one night at Home with the family! 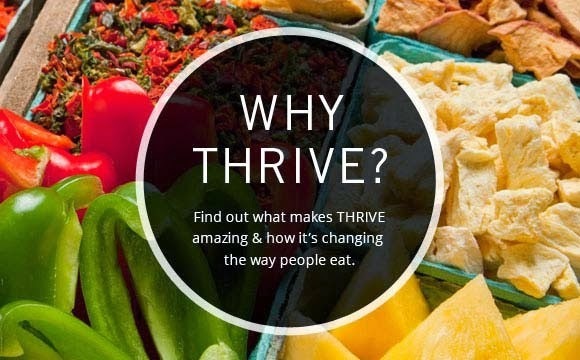 Here is how you can order your own Freeze dried Strawberries and Bananas! We also have several other fruits to try! Next time I'm putting in our freeze dried raspberries! I am just hopping over from the Ultimate Blog Party. I am here from 8550 Graphics. 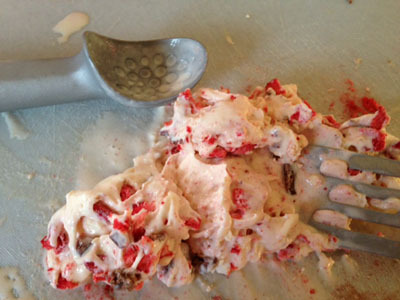 I absolutely love this idea of doing Cold Stone at home. This is something I will definitely be looking into. Thanks for sharing. Thanks so much Jessica for your comment! I need to buy more vanilla ice cream...we ran out while I was making the different flavors! The kids are looking forward to trying some different items in their ice cream next time!